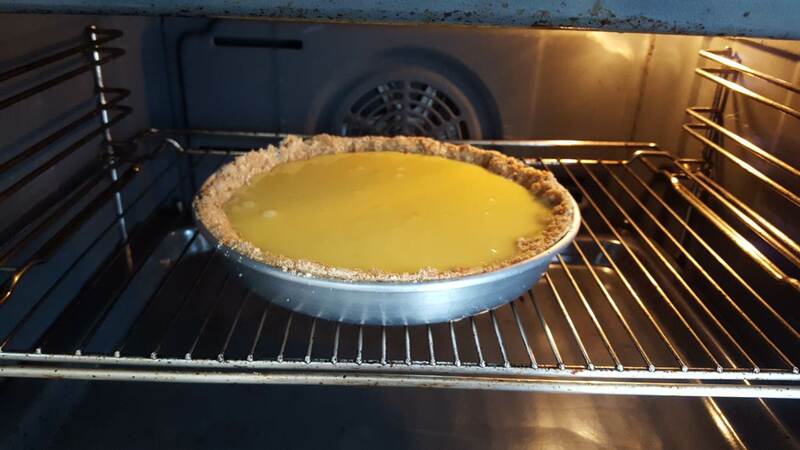 This is lemon pie with a twist. It's a cross between a traditional lemon pie and a lemon cheesecake. 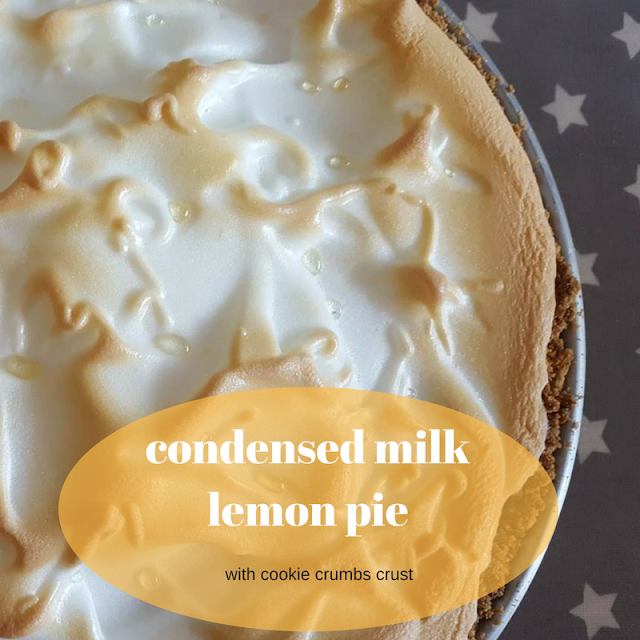 The crust is made with cookie crumbs like a cheesecake, but then the filling uses condensed mild instead of cream cheese. The result? 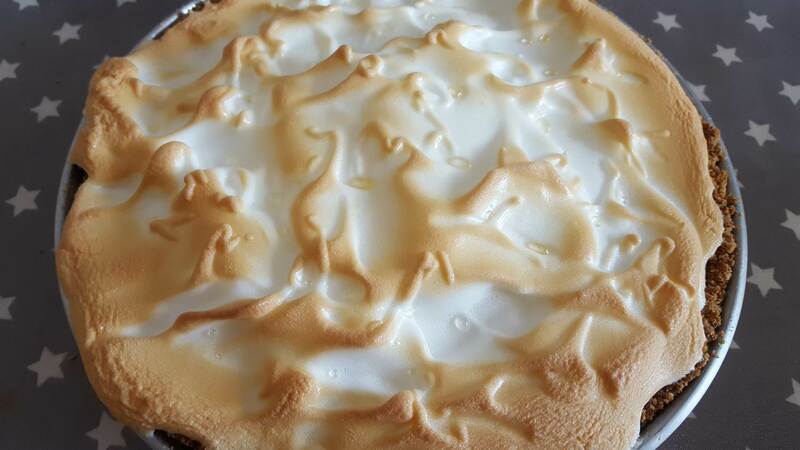 A completely decadent lemon pie, which my husband says it's the best dessert I ever baked. In a bowl, use your hands to combine the cookie crumbs with the eggs and the butter. Spread that mixture evenly over the bottom and sides of a pie pan (I usually use a 9 inch pan with a loose bottom). Leave the pan in the fridge for about 30 minutes while you prepare the filling. For the filling, mix all ingredients together and heat the mixture in the stove. Use low heat (no boiling) and stir often. Once the mixture starts to thicken, remove from the heat and let it cool for a few minutes. 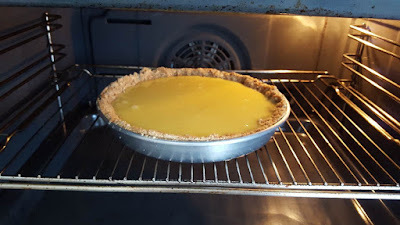 Pour the filling over the pie crust, place in a warm oven (180º C) and bake for about twenty minutes. 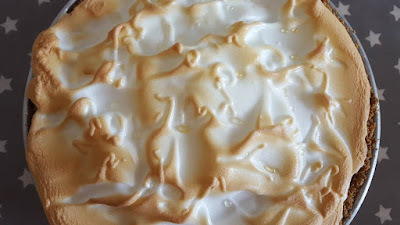 To make the meringue, mix the egg whites with the sugar and spread the mixture over the pie once it's out of the oven. Place the pie back in the oven for just a couple of minutes until the tops of the meringue turn golden. Let the pie cool and serve at room temperature or place in the fridge for a while before serving. 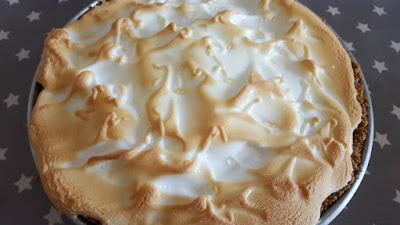 I love lemon meringue pie, so I'll have to give this a try. Oh Teresa - this looks so delicious and sounds so easy to make!! Thanks for sharing at the What's for Dinner party!! This sounds wonderful! Of course, anything lemon will work for me but I've made a couple creamy desserts using condensed milk and they're always good.